Our Amish-made wall washing mop works hard so you don't have to. 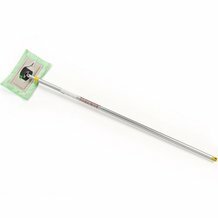 Metal handle extends up to 8 feet so you can easily reach and clean walls safely from the ground. 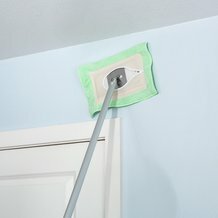 Removable microfiber mop head is gentle on walls and super absorbent. Our Amish employees tell us that many Amish homes have one of these mops. Now we know why! It easily extends to reach high spots and is super helpful for cleaning up after wood-burning stoves. Made by an Amish family in Ohio. The better the care, the longer your mop head will last. If machine washing, do not wash with other items that lint. Is your mop head beyond washing? No worries. Mop head replacements are available. This is the best tool, EVER! I should have purchased it a long time ago!! This wall mop is the best thing since sliced bread! I love the extension handle and it works like a charm! 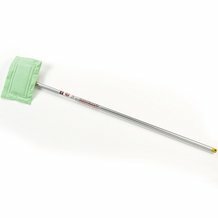 I have never used a mop as good as this one. They are next to impossible to find except in Amish stores.